Breakfast and Afterschool care is available during term time between the hours of 7.45 - 8.40 and 3:00pm and 5:30pm, Monday to Friday, at a charge of £2.20 for breakfast club and £5.50 per evening. Due to limited places, we recommend that parents or carers book 2 weeks in advance to avoid disappointment. Please see Ms Crozier in the school office to reserve a place. 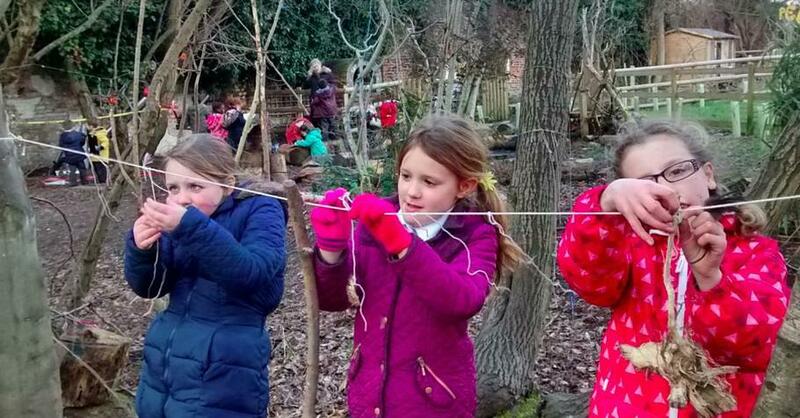 The breakfast and After School Care Club at St Mary’s Primary School and exists to provide high quality out-of-school hours childcare for our parents. It provides a range of stimulating and creative activities in a safe environment. 0161 224 5995 during school hours. The club operates from 7.45am – 8.45am and from 3pm - 5.30pm during term time. A copy of this policy is provided to all parents/carers of children attending and is also available on the school website. All parents/carers must complete a registration form for each child attending the club and in doing so agrees to adhere to the terms on which it runs as laid out in this document. Only children attending St Mary’s Primary School are eligible to attend the Club. The registration process must be completed prior to the child’s commencement at the club. All parents will receive a paper copy of this information and this policy is available to view via our school website. parents/carers have previously completed the registration process. All club staff are made aware of the details of a new child. Parents/Carers are required to bring their child to the school office window. At the end of the session children will go to their classroom/playground at 8.40am by the club staff if they are in EYFS or Key Stage 1 and Junior children will go themselves. Parents/carers should be aware that the school office closes at 4.30 pm. If you usually pick up later than this time school you should telephone the ASC club mobile on 07599 895177 and a member of staff will let you in. When a child is collected at the end of or during a session, they must be signed out by a parent/carer or named collector and the time recorded. The parent/carer or named collector must inform a member of staff that they are collecting and signing out a child. Parents/carers must ensure that any person who may collect their child is listed on the registration form and that it is kept fully up to date. Parents must inform Club staff if their child is going to be absent from club. At least two weeks notice is required. If you are going to be late you MUST let us know and should arrange for your child to be collected by another adult. Your childs place may be withdrawn if you are late on more than three occasions. If a child has not been collected by 5.30 parents will be contacted in the first instance by telephone. The additional contacts parents have provided will be telephoned in the second instance. If these contacts are unavailable after approximately one hour, the police and Social Services will be informed. Senior school staff will be informed of the missing child. Club supervisor will search the inside of the building and delegate an outside search of the building to another member of staff. If the child remains missing, the emergency services will be contacted. It is a requirement of the club that parents pay their fees promptly in accordance with the payment schedule. Fees are to be paid in advance, and payment is due for all contracted sessions even if your child is unable to attend their booked session unless we have at least five working days notice. Payments can be made by cash or cheque payable to school Club either to the ASC coordinator or to the school office. Payment can also be made by Childcare vouchers and through Parentmail. If a parent is experiencing difficulty with payment of their fees, they should contact the school office staff as soon as possible. Our staff will treat all matters confidentially and arrange for discussions in private. It is possible to pay fees via cash, cheque, standing order, childcare vouchers or BACS payment. A receipt will be issued when payment of fees is made by cash or cheque. If payment is not kept up to date this may result in a parent losing their childcare place. Parents should keep their receipts as proof of payment. 7.45am – 8.40am parents bring their children to Before School Club situated in the school hall where a range of activities are set out. 8.00 – 08:30 am children wishing to have breakfast wash their hands ready to enjoy a freshly prepared breakfast. 8.35am tidy up time encouraging the children to take responsibility for the environment. 8.40am children collect their coats and bags. Both Infant and Junior children are escorted to their appropriate playground where they meet up with the rest of the children awaiting the start of school. EYFS and Key Stage 1 children will be collected by a member of the club staff. Junior children will make their own way to the school hall. The club staff will take a register of all contracted children and will liaise with the class teacher/school office to determine any reason why a child is not accounted for. 3.45pm – 4:30 children will be offered a snack, staff members will sit with the children at this time. 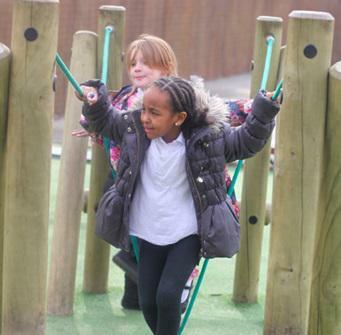 Children can then choose from a range of play, sport and planned activities, both indoors and outdoors. Choose and participate in a variety of activities. Enjoy their time at the Club. Staff acting as positive role models. Informing parents about individual achievements. Challenging behaviour will be addressed in a calm, firm and positive manner. In the first instance, if necessary, the child will be temporarily removed from the activity. Staff will explain why the behaviour displayed is deemed inappropriate. Staff will encourage and facilitate mediation between children to try to resolve conflicts through discussion and negotiation. Staff will consult with parents to formulate clear strategies for dealing with persistent inappropriate behaviour. If after consultation with parents and the implementation of behaviour management strategies, a child continues to display inappropriate behaviour, the school may decide to exclude the child. The reasons and processes involved will be clearly explained to the child and their parent/carer. parents/carer upon collection and signed by a member of staff. Accident records must give details of; time, date and nature of the accident, details of the child involved, type and location of the injury, action taken, and by whom. All incidents are dealt with by a qualified first aider. Parents of any child who become unwell during Club will be contacted immediately. If a child is sent home during school hours, Club will be informed of their absence.